This is an activity about seasonal variations in day length. Learners will graph the number of daylight hours in each month in cities around the world and compare results. They will also gain an understanding of the meaning of the term equinox through review of the graphed data. 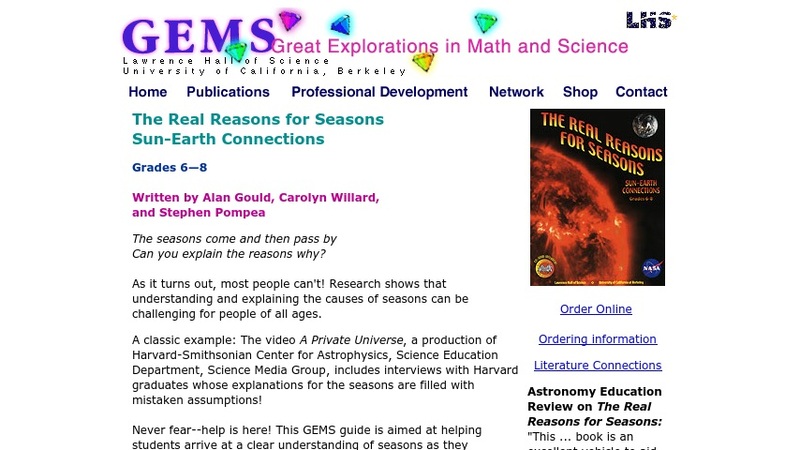 This is Activity 6 in the Great Explorations in Math and Science (GEMS) guide titled Real Reasons for Seasons: Sun-Earth Connections. The resource guide is available for purchase from the Lawrence Hall of Science. This activity requires use of an overhead projector and colored transparency pens.